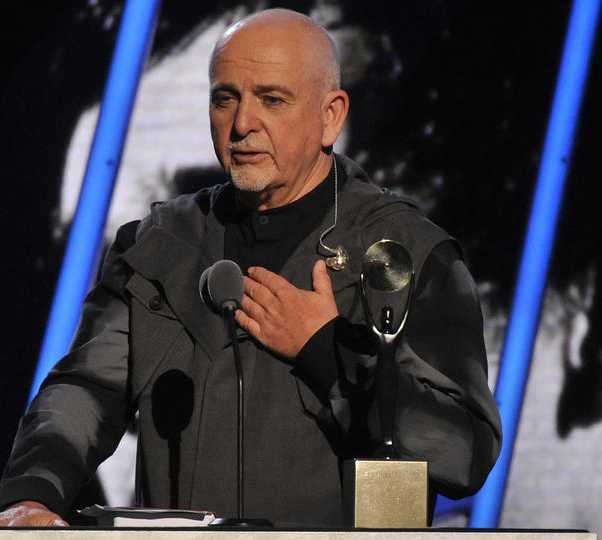 HONOR: Peter Gabriel speaks after his 2014 induction into the Rock and Roll Hall of Fame. Bells and whistles add appeal, but the music matters most. Most of the music sounds as sublime as when it dropped in the late ’70s and early ’80s. Gabriel unearths his signature approach on 1980’s “Melt.” The tribal rhythms (no cymbals allowed!) and global styles he perfects on “Passion,” the big, layered pop of “So,” begin here. Smartly, he knows when to flood the mix with his aesthetic and when to leave a melody clean. “Intruder” creeps and crawls with electronic textures and pounding toms. Probably the most beautiful song about an assassination, “Family Snapshot” sits raw and open.